Difference between revisions of "Chapter 8 CC18"
The overall graph displays the amount information within the image (y-axis) at the various levels of gray from black (on the left side of the x-axis) to white (the right side of the x-axis). 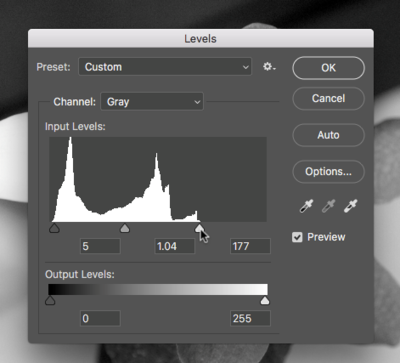 There are 255 levels of gray in any 8-bit image. Consumer scanners and digital cameras capture 8-bit images. There are professional scanners and cameras that capture 16-bit images, yielding more options for adjusting the tonal range; but for the beginning digital media student, we will remain focused on 8-bit images. The overall graph displays the amount of information within the image (y-axis) at the various levels of gray from black (on the left side of the x-axis) to white (the right side of the x-axis). There are 255 levels of gray in any 8-bit image. Consumer scanners and digital cameras capture 8-bit images. There are professional scanners and cameras that capture 16-bit images, yielding more options for adjusting the tonal range; but for the beginning digital media student, we will remain focused on 8-bit images. Digital cameras use memory cards to store file information within the camera. To send the images from the storage device to the computer, the memory card can be inserted directly into the computer. This is true for most modern computers that have an SD card reader. Alternatively, a card reader can be used to connect the memory card to the computer and read it like a small hard drive (similar to a flash drive). When using a card reader, simply drag and drop the folder of image files from the card reader (it will appear on the desktop as an external hard drive) to the desktop or documents folder. 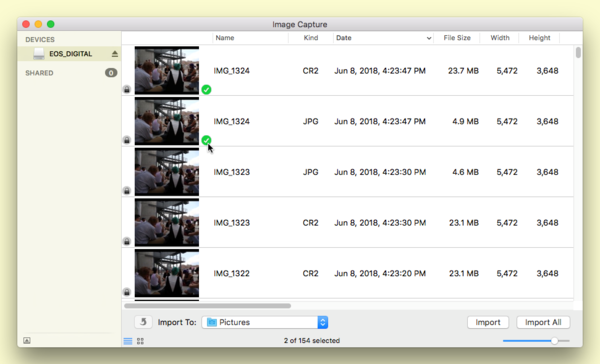 Once images are copied to the desktop, it is safe to delete them from the card. 1. If you insert an SD card, then you will use an application to read the images. 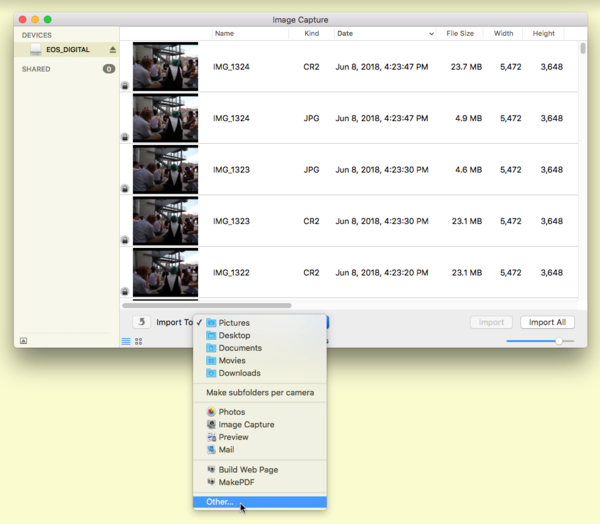 On a Mac, Photos may automatically launch; however, our favorite Mac application is Image Capture. If you are using a Mac and don’t see Image Capture on your dock, look in Hard Finder > Applications for it. 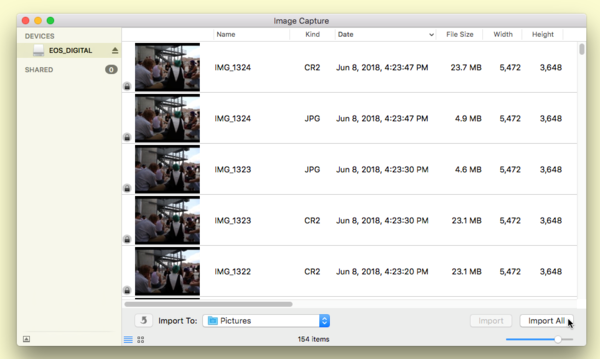 To transfer files from the SD card to the computer with Image Capture, insert the SD card directly into the computer, launch the program and press the "Import" or "Import All" button. 3. "Import All" will import all of the images on the memory card. You can choose which images to download by CMD+clicking on icons to select multiple files and then clicking on the "Import" button. 2. 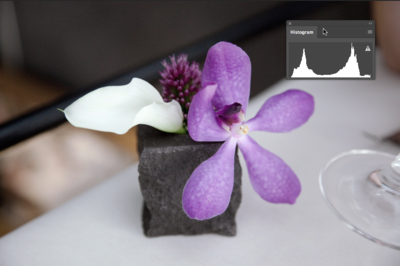 Whenever an image is scanned or captured digitally, the process of digitizing a three dimensional reality into a two dimensional file results in a loss of contrast. 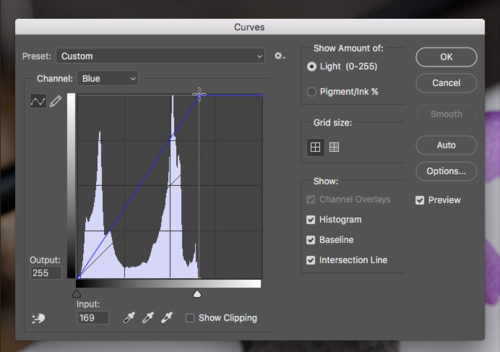 Unsharp Mask is a filter that is commonly used to compensate for this loss. 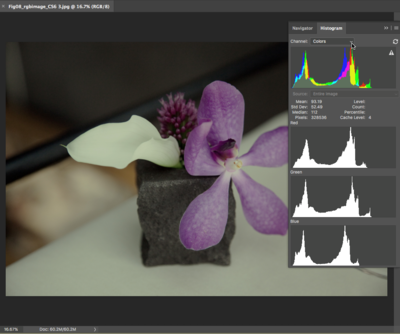 Click Filter > Sharpen > Unsharp Mask. 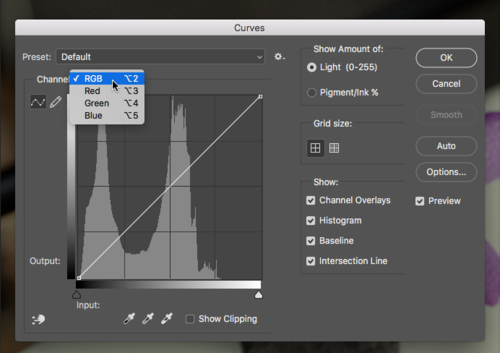 This filter looks at edge areas where there is contrast and increases the contrast of those pixels. 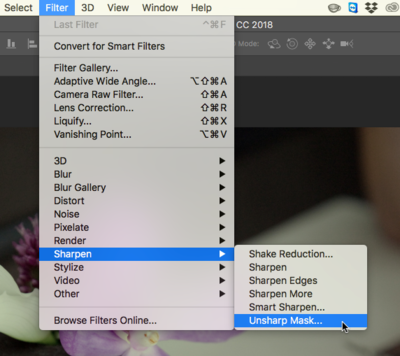 Be sure that the preview button in the Unsharp Mask dialog box is checked. Look at the image while clicking on the preview button. Un-checking the preview button displays the “before state” and checking the preview button reveals what the image will look like after the filter is applied. 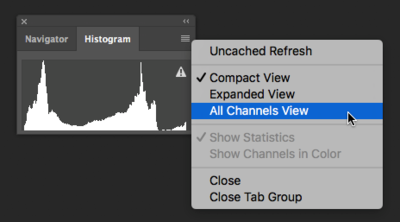 There are no set rules, but the guiding relationship is between the settings in this dialog box and file size. The larger the file size, the larger you will set the threshold, radius and amount. With smaller file sizes (anything less than 30 megabytes) you will probably leave the threshold at 0, the radius lower than 1.0 and adjust the percentage by eye between 20 and 250 percent. You will know when you’ve gone too far, the increased contrast will result in an image that looks pixelated and forced. Applying this filter should produce a minor modification. 4. 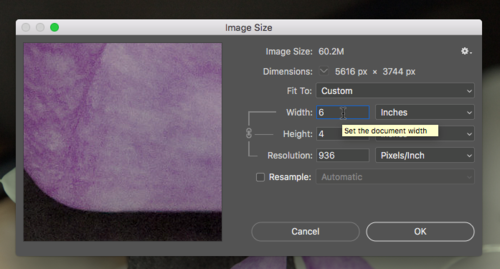 At this point, it is a good idea to check the Image Size dialog box (Image > Image Size) to evaluate the resolution settings. 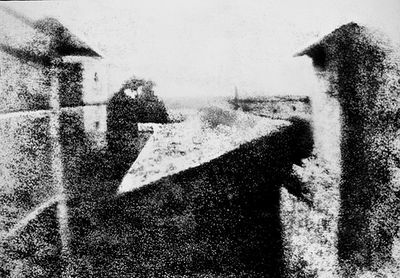 Ask yourself, at what size do I plan to print this image? 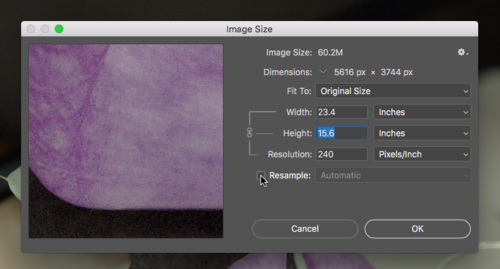 If the resolution is too low (many digital cameras record very large images, but the resolution is set at 72 dpi), be sure to uncheck “Resample Image” before adjusting the resolution to a higher number. 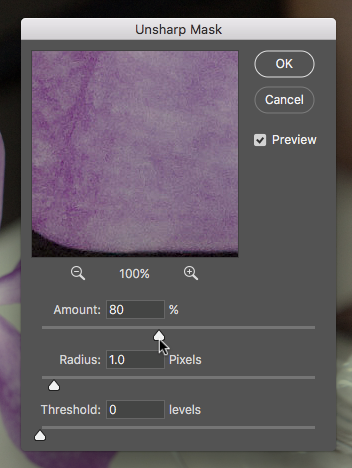 You should see that as the value of the resolution (measured in dots per inch) increases, the width and height of the file decreases and the amount of pixel information (in the top boxes, which should be grayed-out) remains the same. If all of this is not happening for you, and you are trying to increase the resolution of the file, something is wrong! Our image has a resolution of 240 dpi, so it is unnecessary to change. 1. 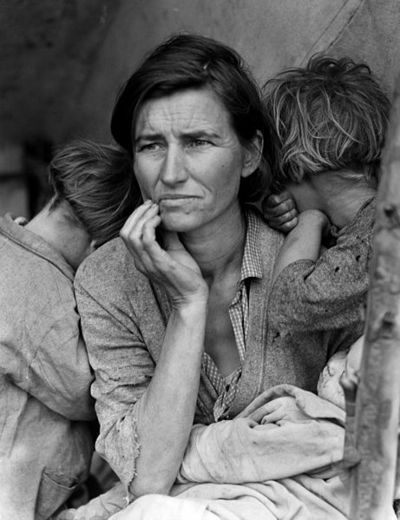 Click on Image > Mode > Grayscale to convert the image from RGB color mode to Grayscale. 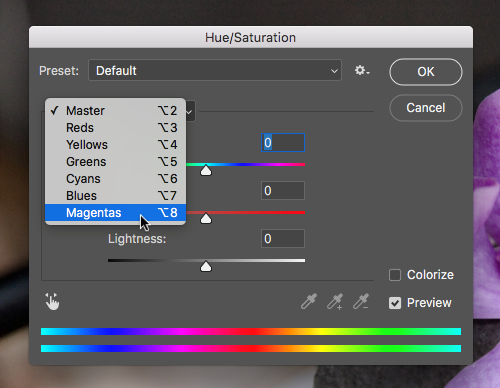 (Click Discard through the "Discard Color Information" dialog box.) Save the file as flower_gray.psd. 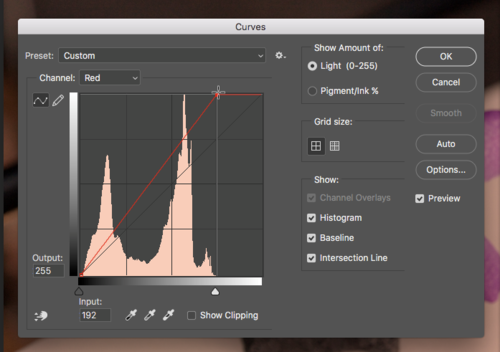 Notice the histogram for this image is clipped on the shadow side (Right side). For this exercise we will complete the first step (Levels) on the grayscale image that was used in exercise two, flower_gray.psd. 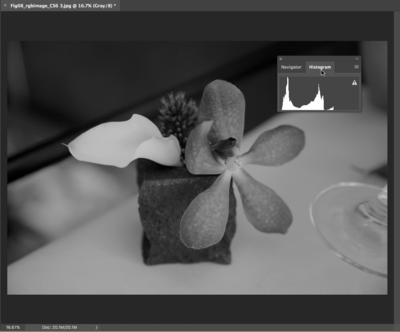 Then we will use the color version of the file, Fig08_rgbimage.psd, again. This page was last modified on 7 September 2018, at 15:30.